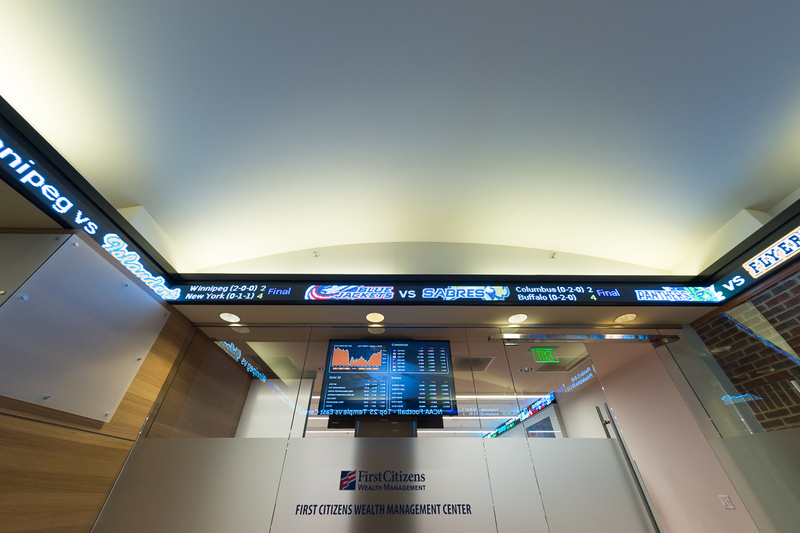 As a result of a generous lead gift from First Citizens Bank and countless other benefactors, the First Citizens Wealth Management Center was established in August 2015. 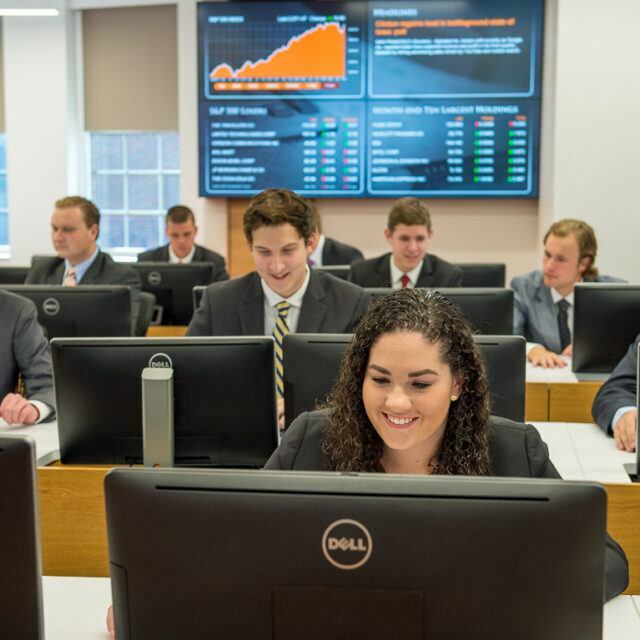 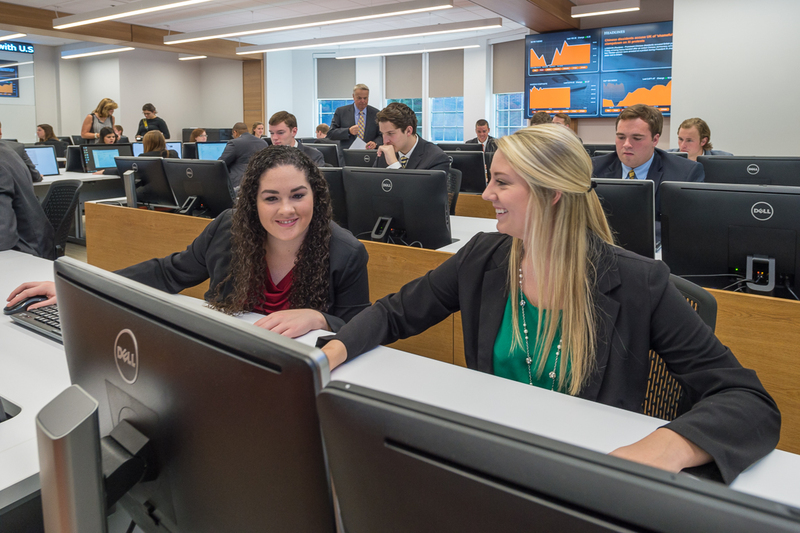 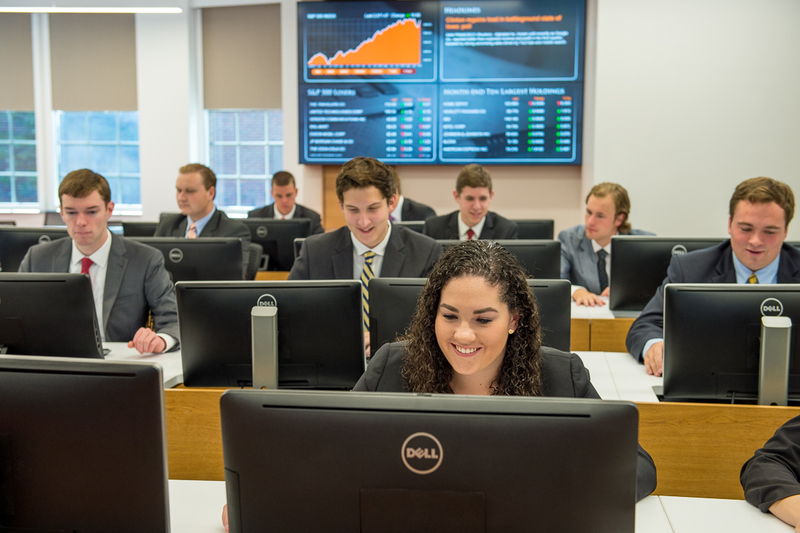 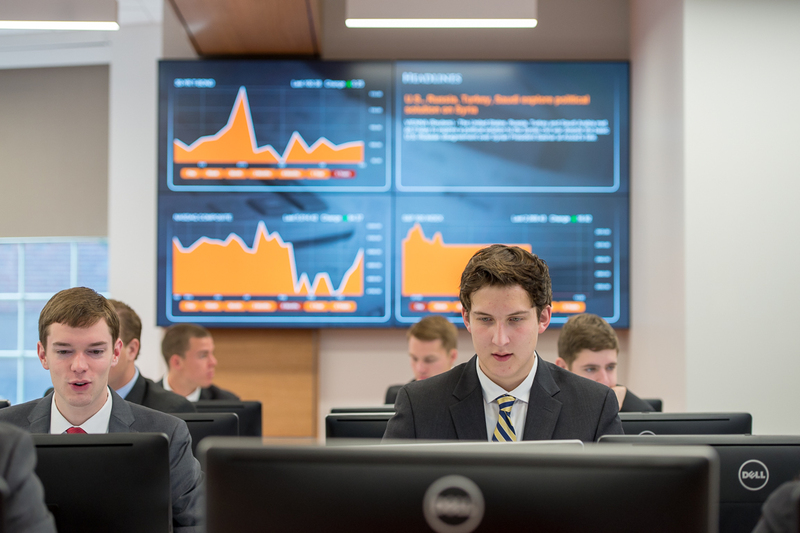 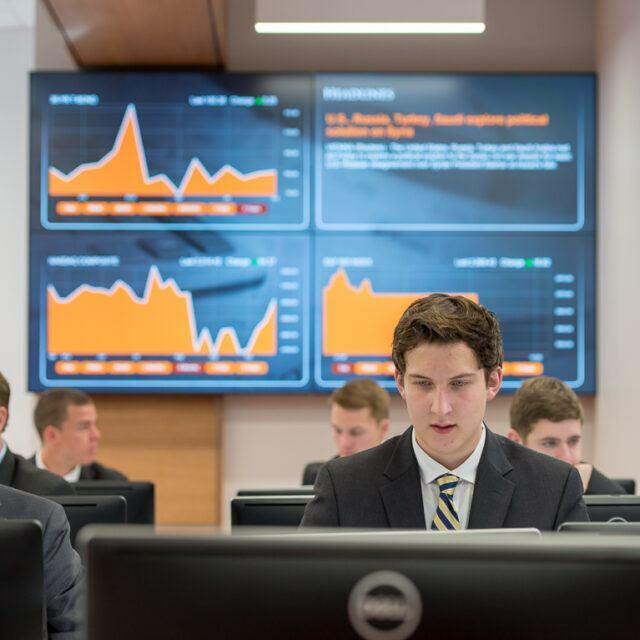 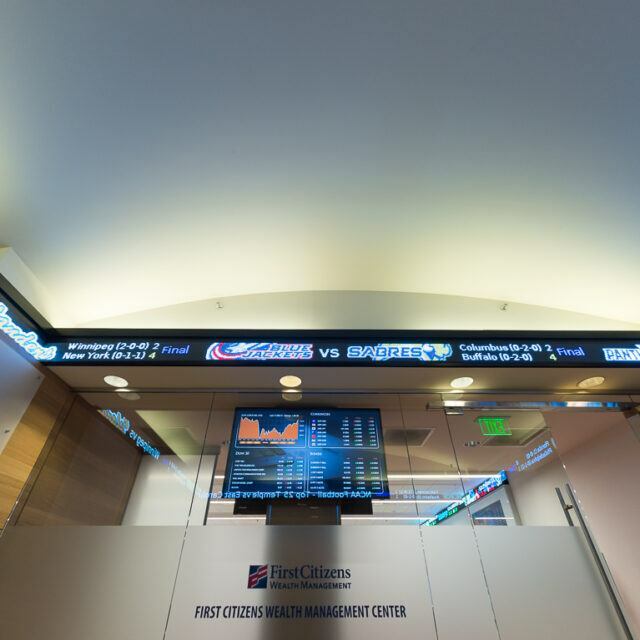 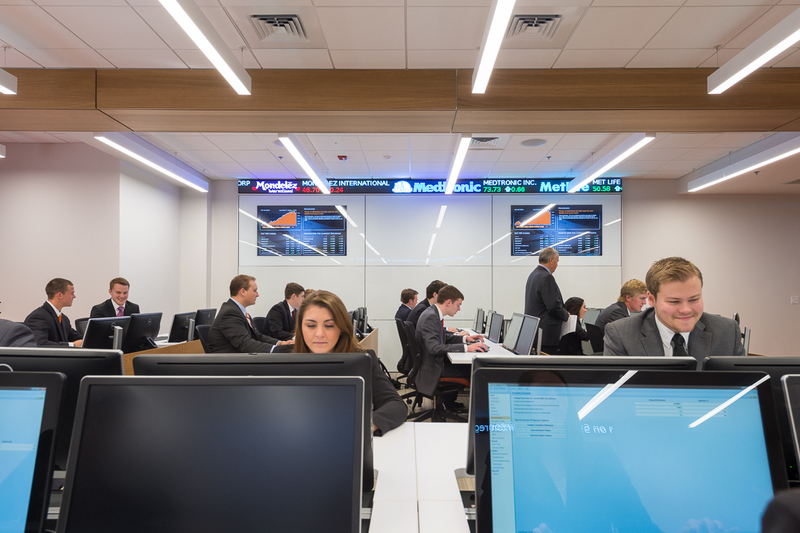 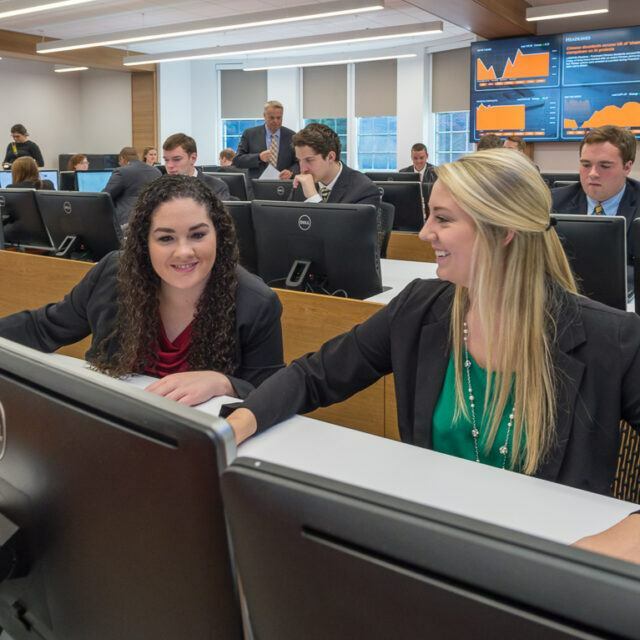 The state-of-the-art center serves as a learning lab that simulates an investment firm environment, a trading room, and a trust center. 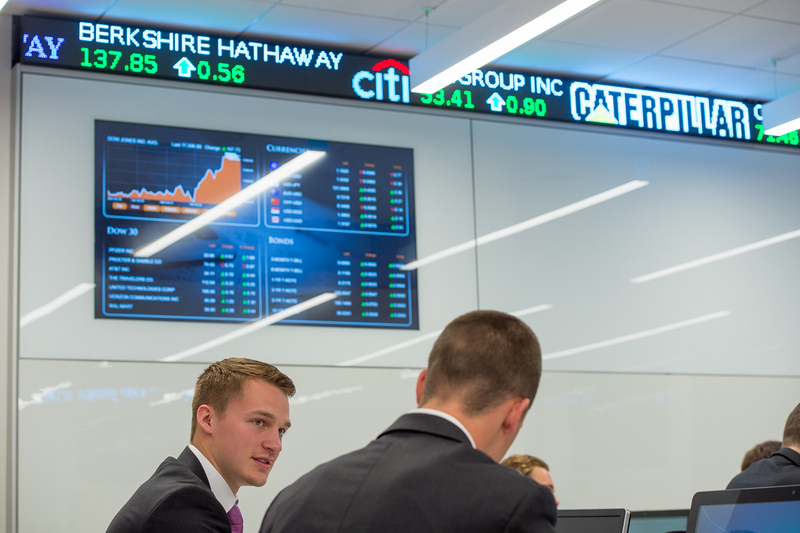 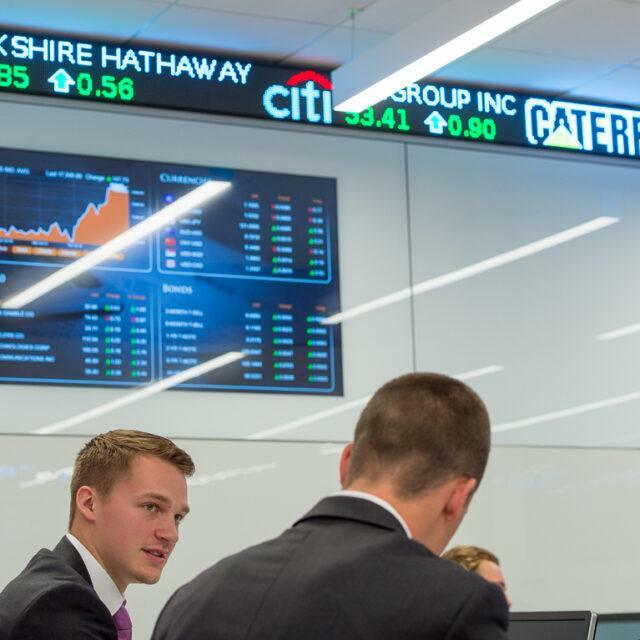 Equipped with the latest tools, technology, and data used by business leaders, commercial banks, and financial advisors around the world, the center exists to expand experiential learning and research opportunities for students, faculty, and the community. 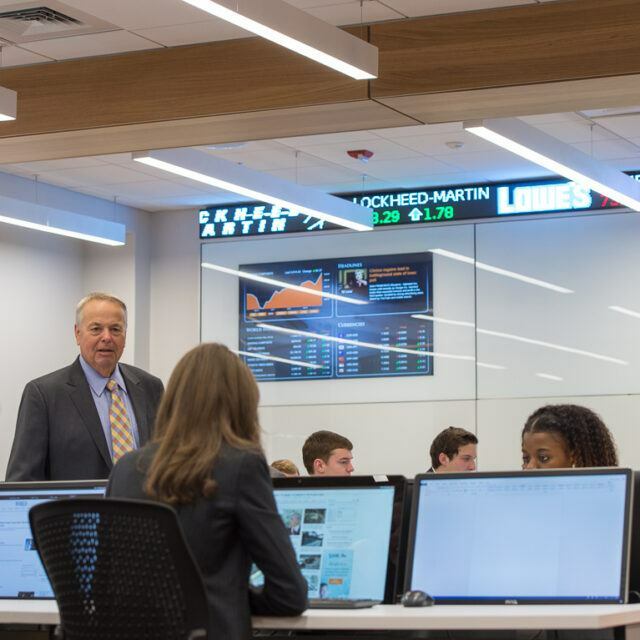 The space was designed based on an idea to create a cutting-edge classroom that would provide specialized training for business students, help graduate business students with real-world experiences, and that would compete with any business schools in the country. 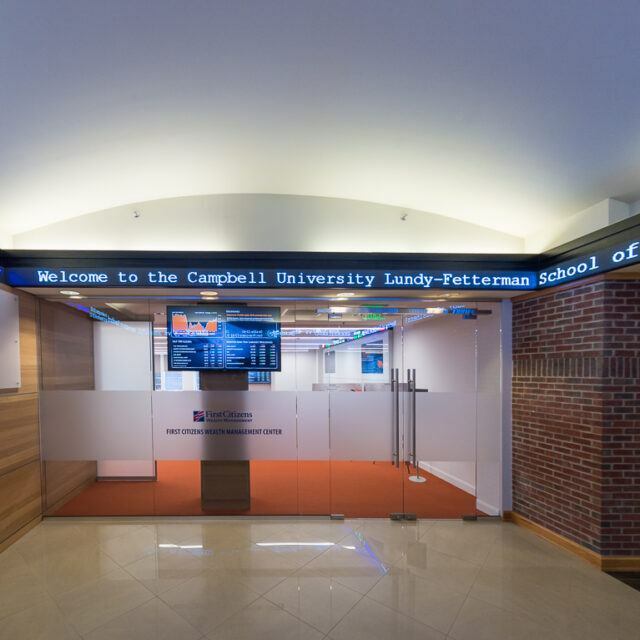 This idea became a reality when the space was officially dedicated on October 14, 2015. 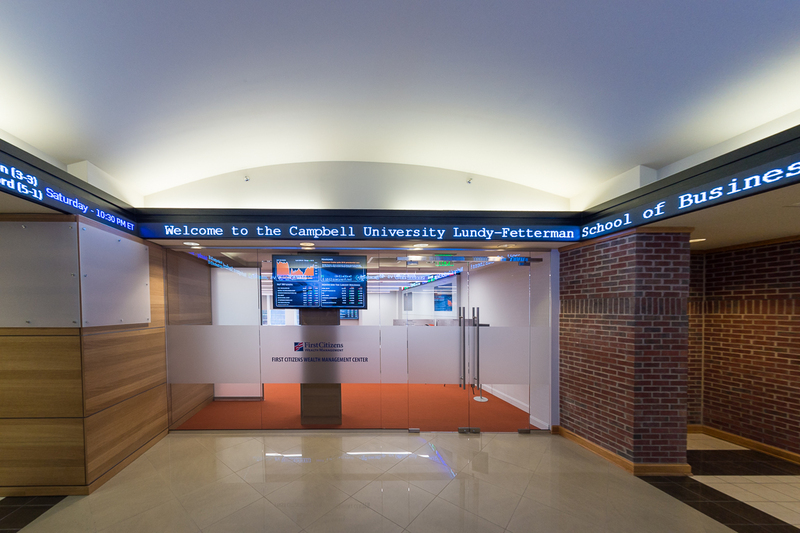 The 2,000 square-foot center boasts 32 computer stations, nine 60-inch display monitors, two 55-inch touch screen panels, 105 feet of ticker providing the latest stock quotes, and sophisticated financial software such as Bloomberg and TOLI Vault™. 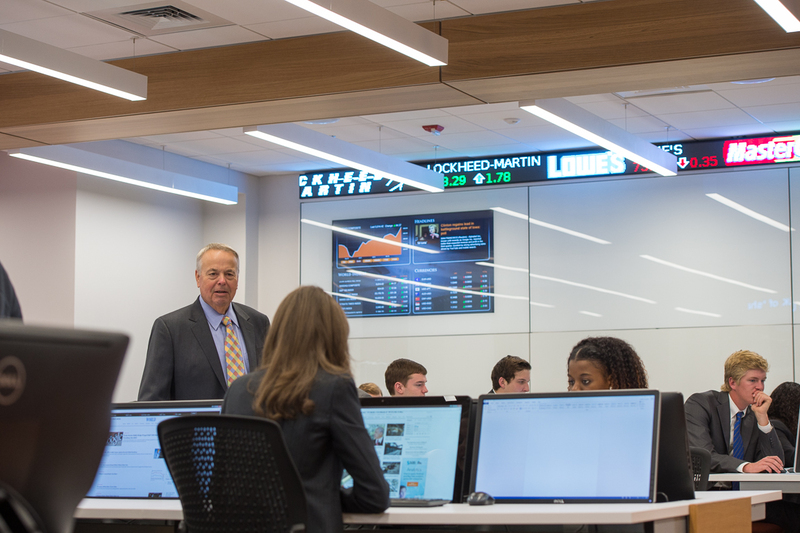 The center will prepare students for the technological environments they will face in the workplace, facilitate research, help the School of Business to continue to add new majors and teach new skills, and help reach out to our community and serve our neighbors with education and service. 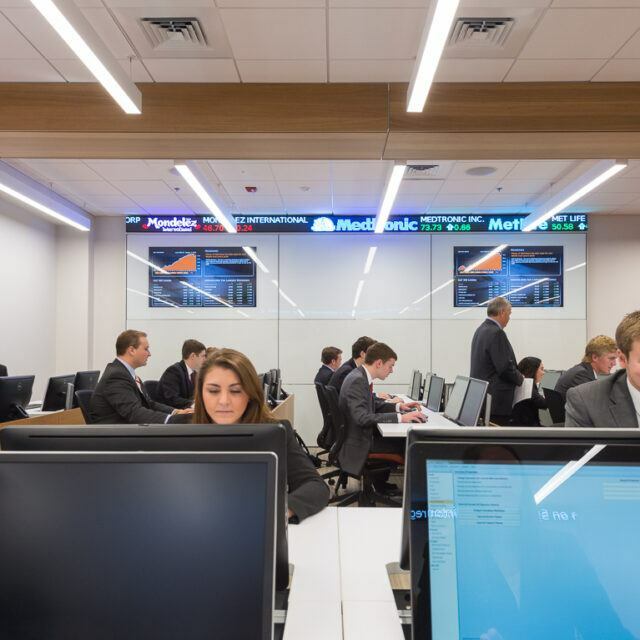 Mr. & Mrs. DeLeon Parker, Sr.
Mrs. Lottie S. Kay ’75 & Mr. William B. Kay, Jr.